Let me start out by saying that this is an editorial. This is not a factual article on missing episodes of Doctor Who. It has been about a year since the fantastic book Wiped! 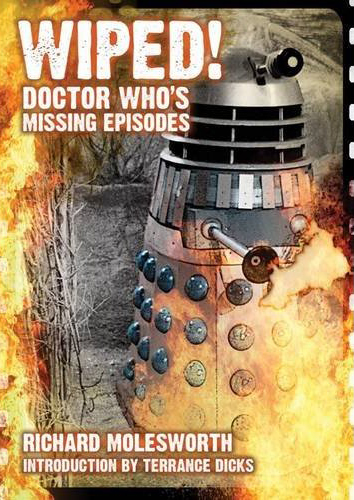 Doctor Who’s Missing Episodes (R.Molesworth, Telos Publishing 2010) came out. In terms of factual information on this subject, I don’t believe this can be beat. It would be nice if it came out as an e-book, what do you say Telos? Anyway, my article below is my musings, fascination, and my own research I have conducted over the last 20 years. Over the last 6 years, I have been going episode by episode through the entire run of Doctor Who. Now that I have completed this, I started all over again. I am about to get to the first missing story, Marco Polo, and I thought it would be an interesting anniversary article if I wrote a little something on my personal thoughts about missing episodes. Like so many fans of this amazing series, the revelation that so much of the 1960s episodes of Doctor Who were gone came as a big shock. 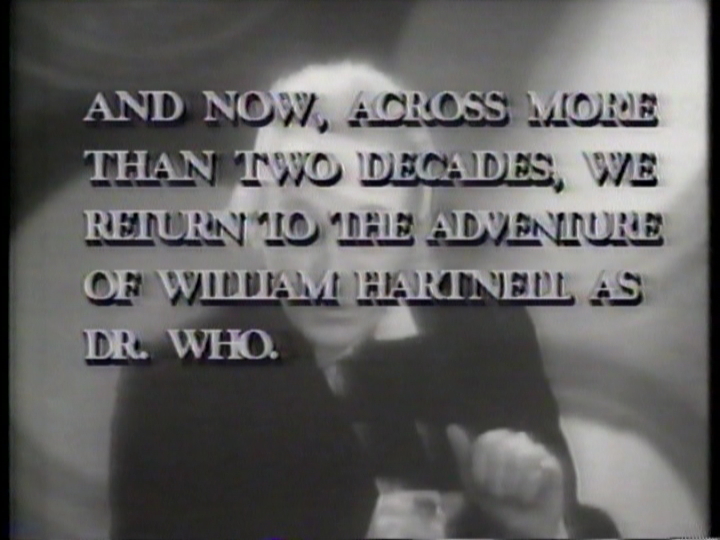 Part of the original disclaimer KTCA channel 2 would show before each William Hartnell story back in 1986. Let me set the stage. I apologize in advance if this is a long boring stage. In my younger years my local PBS station KTCA was showing the Hartnell and Troughton stories for the first time; I really had no clue what existed and what was missing. I did have the Jean Marc Lofficier The Doctor Who Program Guide (W. H. Allen Ltd 1981) so I knew the titles of the stories I would be seeing over the coming weeks but it gave no indication what still existed. I never thought our PBS station would get the Hartnell episodes so I was shocked that in January of 1986 when I was able to watch the very first Doctor Who story, An Unearthly Child. Finally, I would be able to see the stories that shaped the series and I could see the iconic moment of Doctor Who. I couldn’t wait to see some of these stories! Every week I would check our local TV guide to see the description of that week’s story. When we got to Marco Polo, it was skipped over. No Marco Polo. It was at that point I remembered hearing on a KTCA pledge drive, in a throw away comment, that some early episodes were missing. Ok, I didn’t worry too much about it as I highly doubted that so many episodes would be gone. Sure enough, apart from The Reign of Terror from season 1, season 2 hardly had anything missing with the exception of The Crusades. At the time I preferred the futuristic stories anyway, so it was no loss to me. But things would change considerably when we got to season 3 when most notably, there was no The Daleks’ Masterplan not to mention just about every other story from that season. The final kick in the teeth came when we got to The War Machines. I knew we were at the end of the Hartnell era. I couldn’t wait to see stories such as The Tenth Planet, The Power of the Daleks, The Tomb of The Cybermen, The Wheel in Space, etc. I couldn’t wait till the local TV Guide came in the Sunday paper so I could see the listings for the story after The War Machines. I got the TV guide for the week after The War Machines to not see listed for the next week The Smugglers or even The Tenth Planet but……The Dominators. This in essence was skipping all the stories I really wanted to see. As one could imagine, I instantly blamed KTCA….for no reason. I was young. As the years rolled on, I learned that things weren’t as dreadful as I had feared. Some of these stories were not completely gone; some stories existed with partial episodes. I eventually got horrible camera copies of these partial episodes and even started to get audio recordings of the missing episodes. I officially got into fandom in 1988. I learned almost immediately that one of the best past times for fans were talking about rumours about missing episodes. Ok, maybe not everyone was talking about rumours of missing episodes and OK maybe it was only me asking everyone about missing episodes but hey, I was only 14 and wanted to know more about this mysterious world. When I got into fandom, the most recent find was The Faceless Ones Episode 3 and The Evil of the Daleks Episode 2. These were pretty big deals and there really was a kind of a covert, espionage sort of feeling that all the missing episodes were out there. Somewhere. We just had to find them. I heard this from so many people back in the day. It seemed perfectly logical that they were just waiting to be rescued by us fans. At this point, little did we know, there were only a few more hurrahs waiting for us as the golden age of finding episodes was winding down. When The Ice Warriors One, Four, Five & Six were found it was exciting but so many fans were thinking that this is just another set of episodes in a long line of future discoveries. In reality, we weren’t too far off. For me, the story that I never thought would be returned was announced as found in January of 1992, The Tomb of the Cybermen. For many of us, this was the holy grail of missing episodes. In some ways, it confirmed to some of us that all the episodes were out there. If this story exists, they must all exist! It’s almost as if this was a global treasure hunt that was set up for us by the BBC. They put these episodes in different parts of the world and we go find them. The reality was that this was really the end of a stream of episode discoveries. Sure an episode was discovered in 1999 and 2003 but reality started to set in. I enjoyed living in ignorance to some degree in the 1990s about missing episodes. I enjoyed living in a world where there was these secret stories of what happened to these episodes that are now gone but in some private collection. It gave hope that they might be returned. Probably the most enjoyable article of its time was Missing Without a Trace written by Dr. Paul Lee. In this article it lists what has happened to so many of the episodes that are missing and how they still existed in private hands. There are no facts to any of these stories but these are hearsay and a lot of other rumblings that are put together to create an article of what one man knows. The level of covert and intelligence from this article would have made John LeCarre proud! This is not meant to be a tirade against Dr, Lee. I think he fully believed everything he was writing but now, twenty years later, we can see why some of these stories don’t hold up and all the article ever did was perpetrate stories of hoaxing and accusations of high up fans holding material they never held. My favourite story is about a person named Lei whose father had a TV station in Canada and they had purchased every episode single episode of Doctor Who. Because his father loved the series so much, he did not have the heart to destroy the episodes when the contract ended. 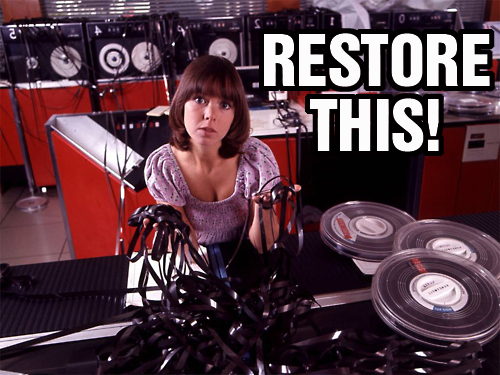 Often when the contract ended, episodes were to be sent back to the BBC or destroyed. 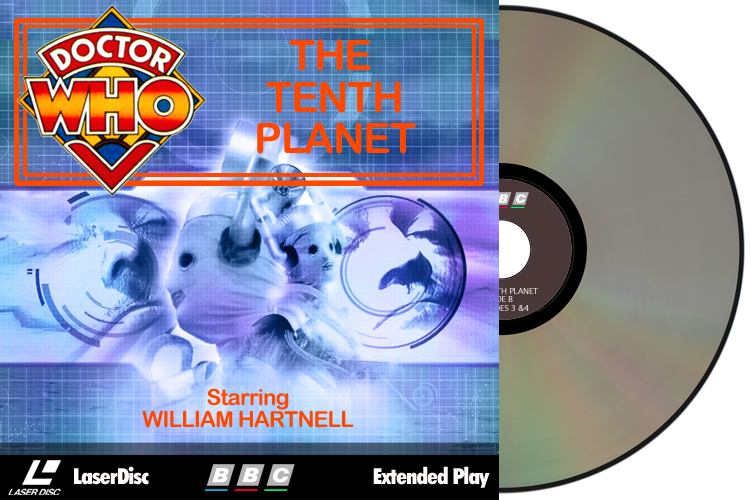 Luckily, Lei was able to transfer the episodes to laserdisc (you know, that easily recordable format) and was in talks with the BBC to hand over the episodes. Unfortunately for the human race, Lei had some heart problems and was in the hospital. What a coincidence as he was about to hand over all these episodes! Though, it was said that he showed some of these missing episodes at Visions in Chicago. That seems to be a long way to travel to bring a laserdisc player. Maybe for travel purposes, he dubbed them down to VHS. I may be mocking it now, but rest assured when I read the article in the early 1990’s I was riveted and convinced that this Lei fellow was the key to us getting all the episodes back. I was really hoping he would get better. Selfishly, not for his own health but because I wanted to see stuff like The Tenth Planet Episode 4. Now, this doesn’t mean that there aren’t still episodes out there somewhere. When I was at Visions in November 1991, I met someone there named Louis. He was a very nice guy who I sadly lost touch with over the years. He grew up in other countries and claimed to have seen some of these missing episodes broadcast in African countries. I believe he cited Tomb of the Cybermen. He told me that night that it would be announced soon that The Tomb of the Cybermen was returned from Hong Kong. I didn’t believe him. I certainly believed him in January of 1992. I assume it would be another hoax. Laserdics mock up by me. I know about hoaxes. Obviously, there are the hoaxes that are perpetuated by people such as that guy in Blackpool. Unfortunately his last name is the same as my first name. I do believe there are some people who are not completely sure if he may have had anything at all. 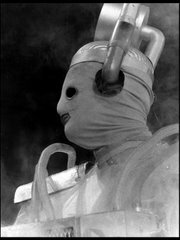 It is said he had a poor copy of The Tomb of the Cybermen before it was returned but quite frankly who cares. There are also innocent hoaxes such as friends of mine who thought they had a really, really poor colour copy of Invasion of the Dinosaurs Part One. In fact, even if black and white, the more generations the analogue signal is copied on VHS, the more weird stuff happens to the quality of the picture and can introduce a weird blue or green hue giving the impression of colour. I also know of a real hoax. 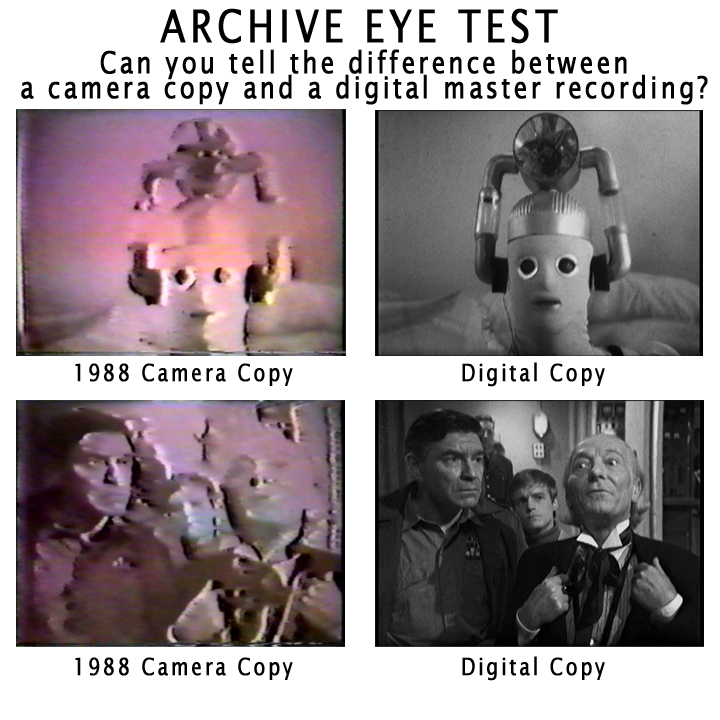 One where I employed a “legitimate” video finder service to look for The Tenth Planet Episode 4 many years ago. The plan was that 2 other friends and I would pay the finder’s fee if it was found (yeah right) and then we would triumphantly return the episode to the BBC with trumpets heralding on high singing our exalted praise. Imagine my heart-stopping shock when I was told the episode was located by this company. I quizzed them like crazy, making sure it was not a recon and that it really said episode 4 on the title or film print. The episode should end with a man changing into a different man, etc. They verified everything. A price was set; I got my friends to agree to pay me when we got the episode and I would front the money just to get the episode here as quickly as we could. I had them send it Fed-Ex overnight to my home for Saturday delivery. It shows up, I have an out of body experience as I open the package, trembling. I pull out the VHS tape (first red flag), I put in the VHS and it starts with Episode One (second red flag, all four episodes on one tape! ), I fast-forward the tape to the end to see…….a reconstruction. Not just a reconstruction but a reconstruction created by one of my best friend’s recon groups. My friend would be mortified to know this happened to one of his recons. Whoever gave this to the company I worked with knew what they were doing and that they were pulling a scam. I am not convinced this wasn’t done by the company itself. They became very difficult to work with and would not refund me any of the money I paid. I am sure at this point you are thinking that one or even both of my friends stepped up and offered me some money to help me out as we originally talked about splitting the cost. Not at all. Too bad guys, you should have offered, I would not have taken your money but would have appreciated the sentiment. Some of you at this point may be saying, “man this guy is stupid”, my only response is yes, yes I was. I thought there were some missing episodes in the US and I was going to turn one in. I was wrong. Now, I don’t believe there are any missing episodes in the US. To clarify this statement, I mean that if there were any Hartnell or Troughton episodes in the US, it wouldn’t have been because they were broadcast over here. The only thing that was broadcast over here that would come close to be considered loss or could be found in the US would be the original Pertwee package of episodes from the early 1970’s that contain the stories Doctor Who and the Silurians through The Time Monster. These episodes were shown in US cities in colour in the 1970s while the PAL colour masters had been wiped in the UK. Because of this run of episodes, the BBC have been able to track down some of these NTSC masters and have been used in ground breaking restorations. Stories such as Inferno and The Claws of Axos had their NTSC masters used for Reverse Standard Conversions. Though,not all of these NTSC masters have been found and it gets complicated. Doctor Who and the Silurians, Terror of the Autons, and The Dæmons were found from either u-matic sources or domestic Beta recordings off-air by viewers. Tom Lundie is famous for recording some of these episodes which were used for restorations. He’s disappeared. I would love to get copies of his original tapes. The copies I have are about a gen or so down from his. The Ambassadors of Death exists as a domestic recording but can only partially be used for restoration because of horrible rainbow patterning in most of the episodes. There is also The Mind of Evil that up to a few years ago only had a 4 minute segment that existed from Episode Six in colour. Hopefully with the work being done on the Chroma Dot Recovery project, some of these episodes can be restored. We know there are chroma dots on all black & white Jon Pertwee prints barring The Mind of Evil Episode One but the process is so random that no two prints are alike and each will yield different inconsistent results. Broadcast masters I hold of Doctor Who episodes. 1-3/4" tape, 3-Beta SP tapes, 1-1" tape, and 1-2" tape. I figured if I were ever able to find any missing episodes, tracking down a recording of a colour Pertwee episode would be my best bet. I have spoken to a lot of TV enthusiasts over the years that were in the markets that had shown these colour Pertwee episodes in the late 1970’s. I found a gentleman who now lives in Alabama but lived in Chicago in the 1970s. He has a large collection of all types of television, mainly early US television. He was a fan of the series but knew nothing of fandom. He recorded Doctor Who in the 1970s. He claims he recorded the colour Pertwee episodes. In the 1980s they were on again and he recorded those versions as he thought he could get better quality from a newer recording. He knew nothing of the significance of this until I told him. He was horrified. This guy was a chronic recorder. He would record stuff over and over again and recycle his tapes. He rarely watched the stuff, he just wanted it. Now, I see the irony of this story, it seems the type of tale that would show up in something like Missing Without A Trace. I suppose you are expecting me to say that before he threw them out he recorded them to laserdisc or some obscure wire recording format. I am just telling you what I know and based on his video list, I believe him but I wasn’t done researching about these episodes yet. I work in commercial production. One area I am always involved with through all of my incarnations in this field is tape, film and element storage. I know a lot of people in this field and a lot of them have been around for a very long time. Through my contacts, I got in contact with the guy who was in charge of sending out master tapes to stations while working at Time-Life in the 1970s. By the time I got a hold of him, he was VP of tape distribution for BBC Worldwide Americas in LA. I also got in touch with the guy who did the duplication of the episodes in the 1970s. All of Time-Life’s tape duplication was done by a place called Dubbs. My hope was to see what became of Dubbs. A lot of these companies were bought out and merged with other companies. Sometimes when companies merge, all sorts of stuff goes into storage and there are a lot of media storage facilities in LA. Some of these places go back 40 to 60 years. People always talk about looking for master tapes at these facilities. I wanted to see if there were any possibilities of viewing copies still existing. Maybe something on 3/4” tape. Of course all leads turn up with nothing. I didn’t expect it to work but I got some fascinating insight into how Dubbs worked with Time-Life to distribute BBC programming in the 1970s. I also felt like I was speaking with history when I spoke with those two gentlemen. I think if I was to contact these people even 10 years earlier, I think we could have gotten some results or at least some more leads. I am not convinced that there may not be more colour Pertwee episodes recorded at the time of broadcast but it is anyone’s guess if the tapes still exist or even play. Once again, if something like Craigslist existed 10 or 15 years ago, maybe there would be more results. 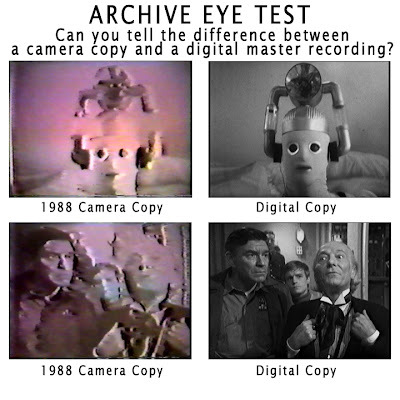 I have gotten a lot of responses from people who recorded television in the 1970s, obviously not Doctor Who but there are enthusiasts out there. It never hurts to politely ask. Do I think there are more missing episodes out there? Who knows, it’s like asking if I will ever win the lottery. I would like to think there are more episodes out there but it seems to me impossible that more exist that they would come from a TV station. I think now, it would be only from a private collector. What would I like to see returned? Well, obviously everything and obviously I would happily take anything we can get but if I were pressed I would be happy if the only things we ever recover again would be The Tenth Planet Episode 4 and all of The Power of the Daleks. I know, that’s not asking for much is it? The good news is, I think I know someone who has these recorded on laserdisc! Happy Anniversary Doctor Who! What’s your favourite missing episode hoax or story? Next Week: Sticking in the realm of the unknown, I will take a look at an episode from the Nigel Kneale classic series, Beasts and watch During Barty’s Party! Did I ever mention I have a copy of Tenth Planet 4 (in color!) on VHS that I recorded off KTCI? Unfortunately I can't find it right now since it is packed in a box from the last time I moved. Anyway, great read. I knew you had done a lot of hunting on and off, but it seems you did far more than I had realized. Respect! Are you sure it wasn't Weather Radar on your tape? Depending on the weather, that picture could get very colorful! Thanks for the kind words. I am *hoping* that I can do a better job of updating this again on a weekly basis. Thanks for reading the article. I know for a fact that Ian has no missing episodes. I know where that rumor came from but it always seemed weird that people would come up with the myth about the one fan who found so many episodes or helped return so many episodes. I need to do an article on those Australian Are You Being Served? episodes. That is one of my favorites. Also, when I was collecting videos in the 1980s, the rumor was that Nicholas Courtney had episodes 1 & 4 of The Invasion BUT his copies had no audio! LOL! Of coursed I believed it! Granted I was only 14! As a Doctor Who fan of the 80's I loved this post. 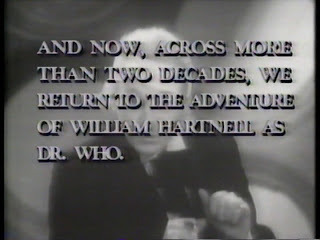 I knew about the missing episodes but was thrilled when oour Syracuse NY PBS showed the Hartnell and Troughton shows. I taped them on Betamax every week. In the 90s I was into Doctor Who Magazine and Virgin's New Adventure books. I remember trembling when I read in DWM that "Tomb" had been found, and that soon it would be out in VHS! I confess in the late 80's I contacted Syracuse University about any missing Doctor Who they might have - I was sure I would unearth "Marco Polo" or "The Highlanders", as these would surely have ended up at a university as historical programs and not science fiction! (FYI Syracuse University does NOT have any Doctor Who reels, missing or other wise). Thanks for reading the article. I think that period was a lot of fun. The idea that episodes could be found anywhere was intriguing. It seemed like that there was a lot left to find. Of course reality set in. It is unfortunate that there have been so many hoaxes over the years it can be really difficult to take anything seriously. What a shame Syracuse didn't have any prints. That's just it, you never know where something will turn up next!